This article includes graphic images that some readers may find disturbing. 17 May 2018 – There is a largely hidden, poorly regulated, and highly profitable industry in the United States that has a gruesome function: breeding dogs for the sole purpose of often torturous experimentation, after which the dogs are killed because they are no longer of use. Americans frequently express horror at festivals in countries such as China and South Korea where dogs are killed, cooked, and eaten. Mainstream media outlets in the U.S. routinely report, with a tone of disgust, on the use of dogs in those countries for food consumption. But in the U.S. itself, corporations and academic institutions exploit dogs (as well as cats and rabbits) for excruciating experiments that are completely trivial, even useless, and are just as abusive as the practices in Asia that have produced so much moral indignation in the West. 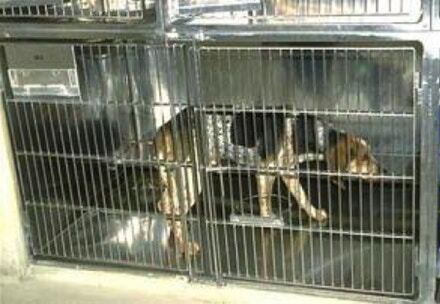 These dogs are frequently bred into life for the sole purpose of being laboratory objects, and spend their entire, often short, existence locked in a small cage, subjected to procedures that impose extreme pain and suffering. 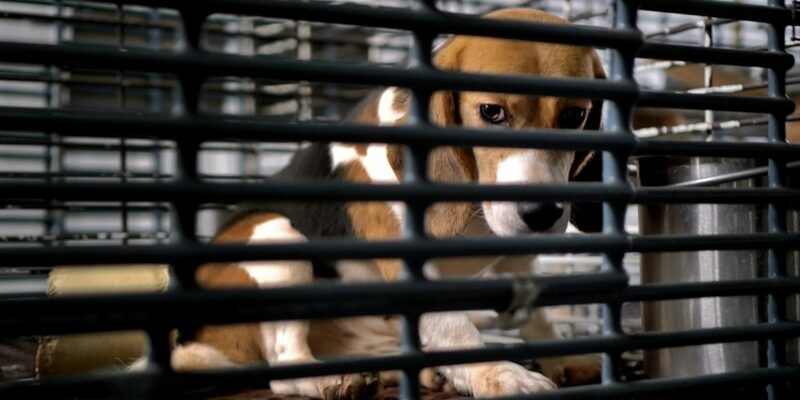 The horrors of the dog experimentation industry are on vivid display at Ridglan Farms Inc., a company that provides beagles to research facilities. 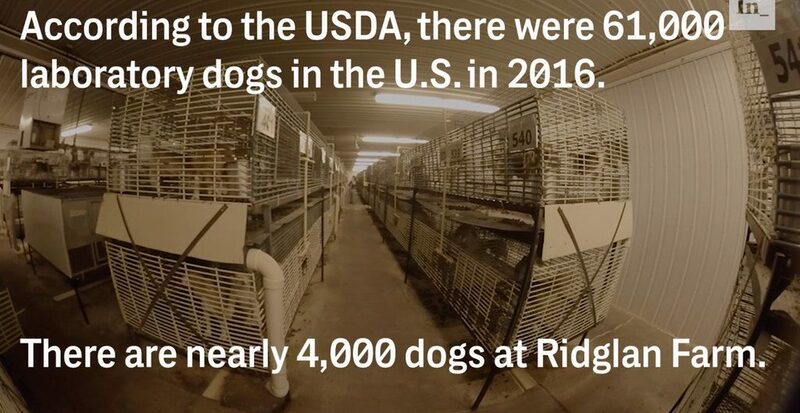 The horrors of the dog experimentation industry are on vivid display at Ridglan Farms Inc., one of the three largest firms in the U.S. that provides beagles to research facilities. Located in Dane County, Wisconsin — on a hill west of Madison — the corporation, according to Direct Action Everywhere, or DxE, investigators, provides dogs to research facilities that include the University of Wisconsin, the University of Minnesota, and various colleges within the University of California system. Last spring, activists with DxE entered a door that was ajar at the Ridglan facility in order to investigate conditions inside, document what they saw, and rescue a sampling of dogs in particular distress. What they found horrified even these hardened activists, who have seen years worth of severe animal abuse. DxE activists spent a year investigating the facility and the industry its serves, and are releasing their footage and accompanying report for the first time today. In response to multiple requests from The Intercept that included detailed questions about what this story would include, a Ridglan spokesperson said the company would decline to comment. The number of dogs used for experimentation in the U.S. has generally declined some over the past several decades — though it rose again last year — but still remains remarkably high. The most common animals used for testing — mice, fish, and birds — are not covered by any federal regulations or reporting requirements, and thus no precise numbers are known, but estimates vary from 20 million to as many as 100 million. The primary law governing treatment of animal experimentation is the Animal Welfare Act, or AWA, which was first enacted in 1966 under the name Laboratory Animal Welfare Act. Under all federal law, all forms of experimentation on animals — including on dogs — is legally permissible, even though superior research alternatives (such as stem cell research) are increasingly available. A small handful of states have banned product testing on animals if alternatives are available. 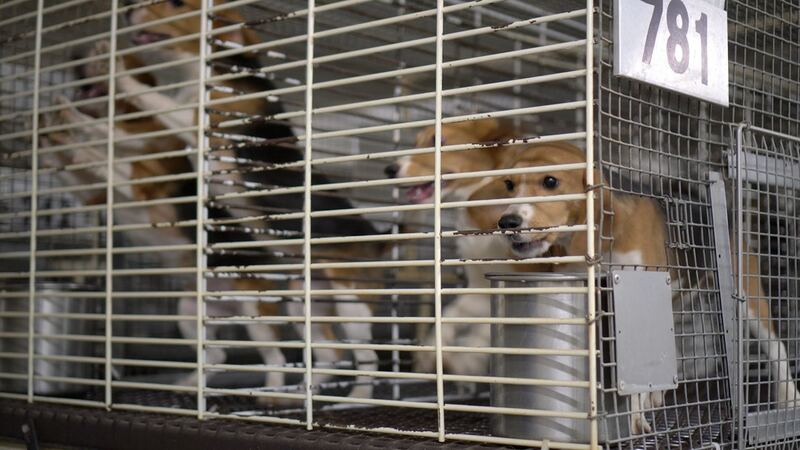 While the AWA permits all animal experimentation, it requires minimal standards of humane treatment for dogs that are bred and sold for experimentation. But even when these rules are complied with, the conditions in which “research dogs” are routinely kept are nothing short of barbaric. For instance, regulations merely require that the dogs’ cage be six inches taller than their height and six inches longer than their body length. Doubling that size eliminates the requirement to allow the dogs out of their cage at all for exercise. This is the same hideous technique that is used to make foie gras, by force-feeding a bird, duck, or goose to the point that its liver enlarges to such massive proportions that the animal suffers excruciating pain before death. So cruel is the procedure that many cities around the world — from San Francisco to São Paulo — have banned the sale of foie gras altogether. But the technique continues to be permitted, and widely used, on dogs in laboratories across the U.S.
As loose and permissive as this legal framework is, these standards are often flagrantly ignored by many dog breeding and experimentation corporations — with little consequence. Dogs are often mangled, tortured, and killed through sadistic abuse, reckless experimentation, or just sheer negligence. The neuroscience professor who once experimented on dogs and now regrets it, Hansen, wrote in his op-ed, “Of all the animals used in research, subjecting dogs to invasive experiments is especially condemnable because humans have selectively bred dogs to unconditionally love the very people who sometimes visit abuses upon them.” That is especially true of beagles, because of how kind, loving, and thus malleable they are. Jeremy Beckham, a research associate with PETA’s Laboratory Investigations Department, wrote a definitive history of how beagles became, during the Cold War, the breed of choice to treat as objects for experimentation, with virtually no limits on the suffering and torture to which they were subjected. 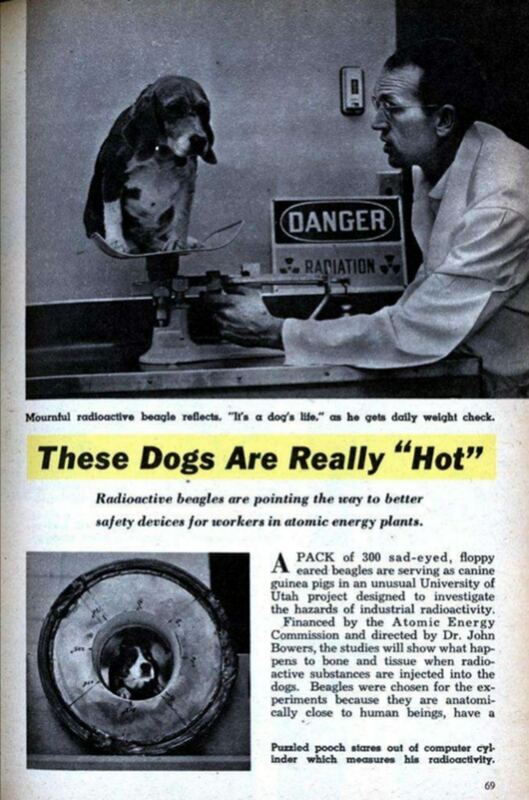 In 1952, he wrote, “Experimenters at the University of Utah Radiobiology Laboratory injected a beagle known only as ‘T0P5′ with a radioactive and highly toxic isotope of plutonium. The dose that was given to T0P5 – more than 3 microcuries per kilogram – was 1,620 times the recommended maximum amount for human exposure.” Twenty-four hours later, ToP5, only 33 months old, was killed. 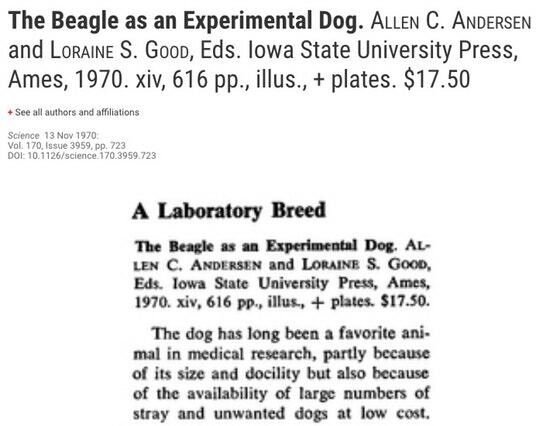 These gruesome experiments, like most dog experimentation today, produced almost no scientific value. As Beckham documents, “Epidemiological and clinical studies during this same timeframe provided us with much more meaningful data about the dangers of ionizing radiation.” But it started the trend of breeding beagles into life in order to use them for all forms of experimentation, and then dispense with them when done. 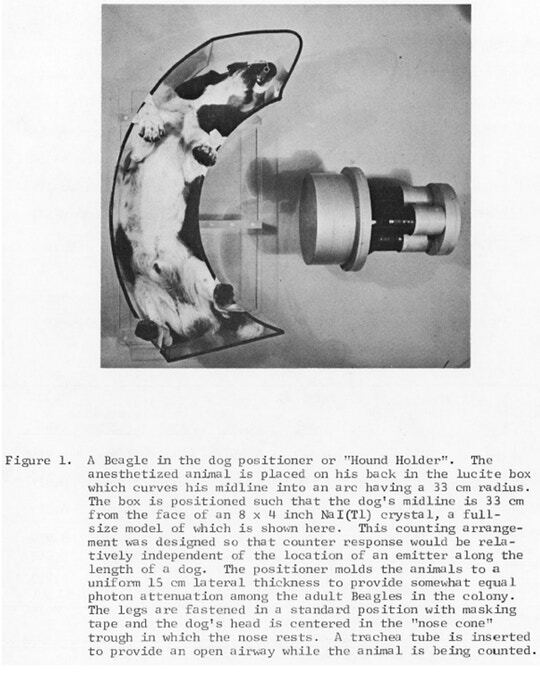 April 1956 article in Mechanix Illustrated on the University of Utah’s beagle experimentation program. Even as dogs have become beloved pets in the U.S., treated as members of the family, with harsh punishments for those who abuse them, the behavior of corporate and academic entities that subject dogs to gruesome experimentations has barely changed. It’s a strange hypocrisy: Individuals may not abuse these animals, but corporations can. The federal legal standards in the U.S. for ensuring humane treatment during experimentation are incredibly permissive, yet they are still frequently violated by corporations and academic facilities. 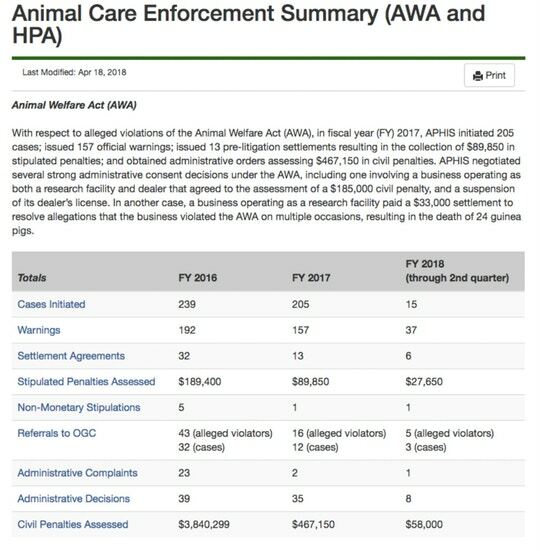 And when these laws are violated, virtually nothing happens to the offenders, even when the violations are egregious and result in severe suffering, or even death, for the dogs. 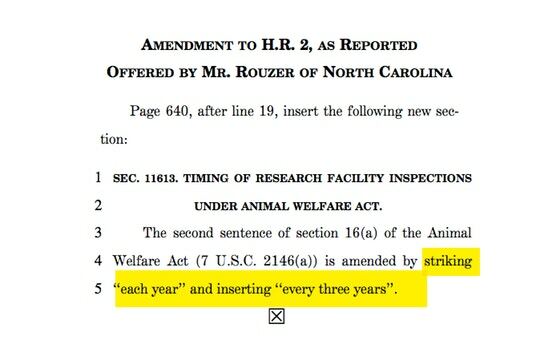 Federal oversight of breeders and research facilities has been notoriously lax for years, to the point where penalties for even the most egregious abuses are systematically reduced to such a low level that they barely register. This laxity has worsened in the Trump era, with the new Republican administration placing more agricultural industry executives at the helm of oversight agencies than ever before. 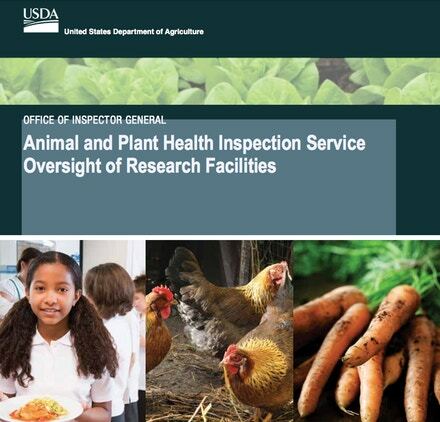 The USDA, like most cabinet agencies, has within it an inspector general to investigate the agency itself and determine its compliance with federal law. 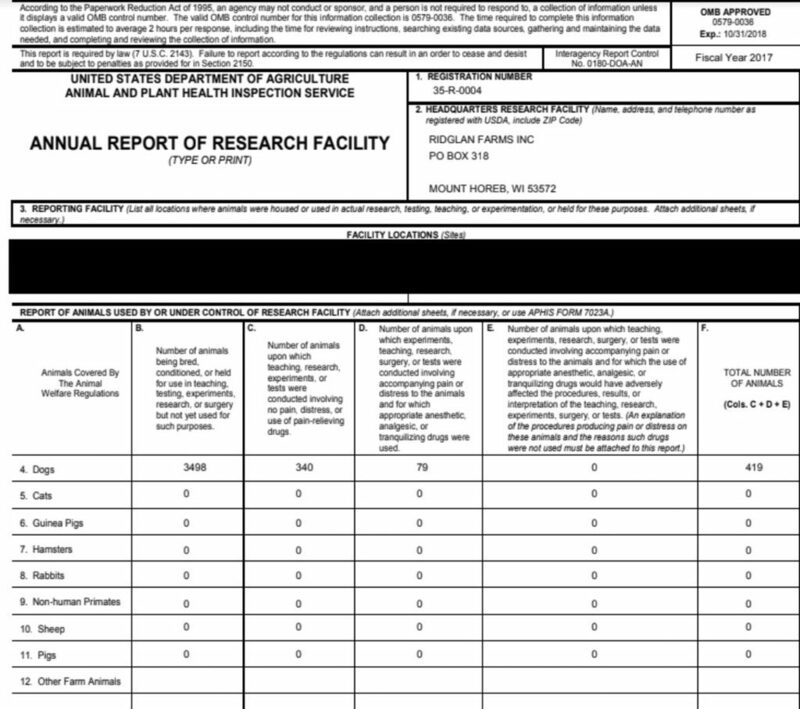 In 2014, the inspector general investigated the unit of the USDA responsible for oversight of research facilities that experiment on animals — the Animal Care Unit of the Animal and Plant Health Inspection Service — and issued a report documenting systematic failures to enforce the law or meaningfully punish corporate violators of animal abuse laws. 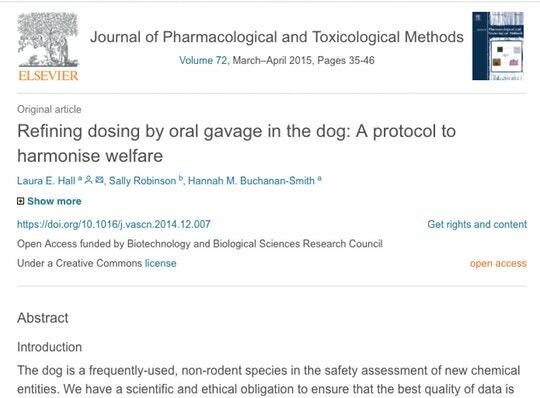 Using the narrow definitions of federal law, the company reported that the “number of animals upon which experiments, teaching, research, surgery, or tests were conducted involving accompanying pain or distress to the animals and for which appropriate anesthetic, analgesic, or tranquilizing drugs” is 79 (the definition of “accompanying pain or distress” includes only physical, not psychological, torment). When DxE investigators arrived there last spring and looked at the cages, the first thing they noticed was how many dogs were exhibiting extreme psychological torment, including endless spinning. 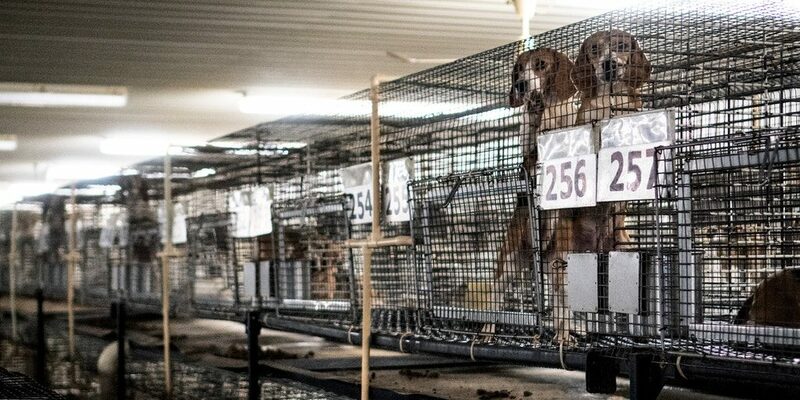 Many of the dogs, they say, had skin and foot conditions from walking on wire their entire lives. They decided to rescue three dogs. The video published by The Intercept details the investigation, rescue, and subsequent care for these dogs. The rescue of these dogs saved them from a short but hideously painful life as lab objects. 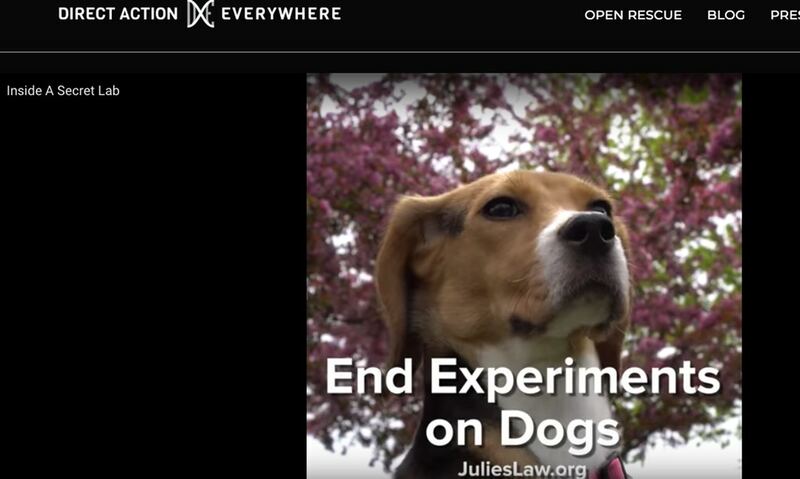 In the report published today, provided in advance to The Intercept, DxE explains, “Ridglan says on their website, ‘We do not conduct toxicology studies or studies which require euthanasia at the conclusion of the study.’” But the company does not deny, and to The Intercept refused to provide comment, that it sells dogs to universities and other researchers who do use them for toxicology studies and kill them when the study is concluded. Poisoned with artificial sweeteners. In a 2015 study by food giant Cargill, dogs were given large doses of a new artificial sweetener, which caused the male dogs’ testicles to shrink. All dogs were killed at the end of the study. Infected with heartworm. In a 2016 study at Auburn University, dogs were infected with heartworm larvae to the test the relative efficacy of commercial heartworm treatments. Five months after the infection, the dogs were killed. Convulsions from synthetic cannabis. In a 1987 study at pharmaceutical giant Eli Lilly, dogs were forced to ingest nabilone, a synthetic cannabinoid, until some experienced convulsions and died. Force-fed commercial laundry detergent. In a 1974 study by the Lovelace Foundations, dogs were forced to ingest large amounts of commercial laundry detergent. Some vomited blood and died. One of the dogs rescued from Ridglan was blind, though an ophthalmologist was unable to determine what caused it. Another had “mangled internal organs” that, according to DxE, were the apparent result of some sort of surgical procedure. The veterinarian who operated on her told DxE activists she was shocked and had never seen something like that. All dogs have since recovered, but they also exhibit symptoms of trauma, including fearfulness and extreme separation anxiety. The blind dog in particular continues to spin around reflexively. While the physical pain and torment from experimentation is obviously severe, the psychological trauma for dogs kept in isolation after having been bred to need human companionship can be even worse. As grim as all of this is, there are rational grounds for believing that reform is possible. 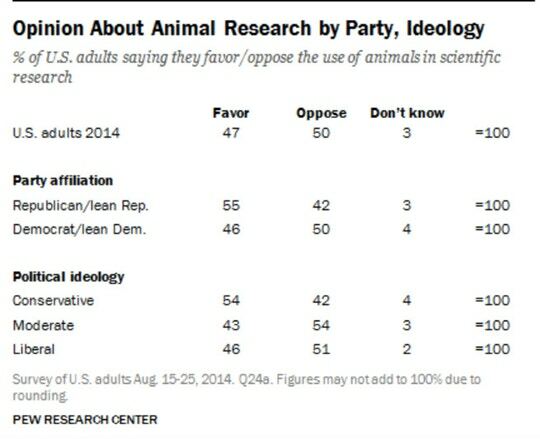 As a 2015 Pew Research Center poll found, “The general public is closely divided when it comes to the use of animals in research: 47% favor the practice, while a nearly equal share (50%) oppose it.” That was for all animals, including rats and fish. Given the widespread sympathies for dogs in the U.S., the percentage opposing their use in experimentation is almost certainly far higher. 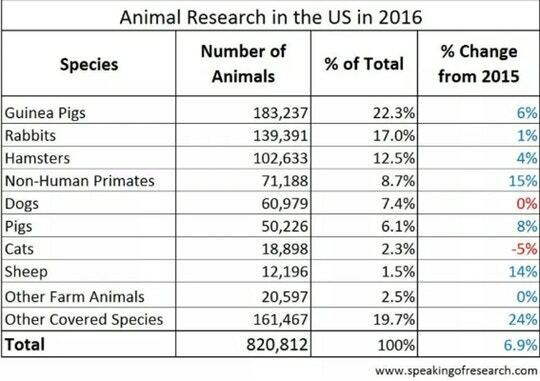 More interestingly still, animal rights have become a far less ideological cause than they once were perceived as being. The group White Coat Waste has tried to bridge that ideological gap by emphasizing a ban on taxpayer-funded animal experimentation, a posture that would enable liberals and conservatives to unite. Given that publicly funded animal experimentation composes a large bulk of such experiments in the U.S., that could go a long way to eliminating this cruelty. One poll commissioned by White Coat Waste found that a majority of Americans (60 percent) favor such a ban. Some states have begun to enact laws severely restricting how animal experimentation can be used. Several, for instance, now ban animal testing for “testing cosmetics and personal care items” when an alternative is available. The record before us in the motion for leave to appeal contains unrebutted evidence, in the form of affidavits from eminent primatologists, that chimpanzees have advanced cognitive abilities, including being able to remember the past and plan for the future, the capacities of self-awareness and self-control, and the ability to communicate through sign language. The issue whether a nonhuman animal has a fundamental right to liberty protected by the writ of habeas corpus is profound and far-reaching. It speaks to our relationship with all the life around us. Ultimately, we will not be able to ignore it. While it may be arguable that a chimpanzee is not a “person,” there is no doubt that it is not merely a thing.